You have decided to take a trip to somewhere great, FINALLY and now need to put together an itinerary. 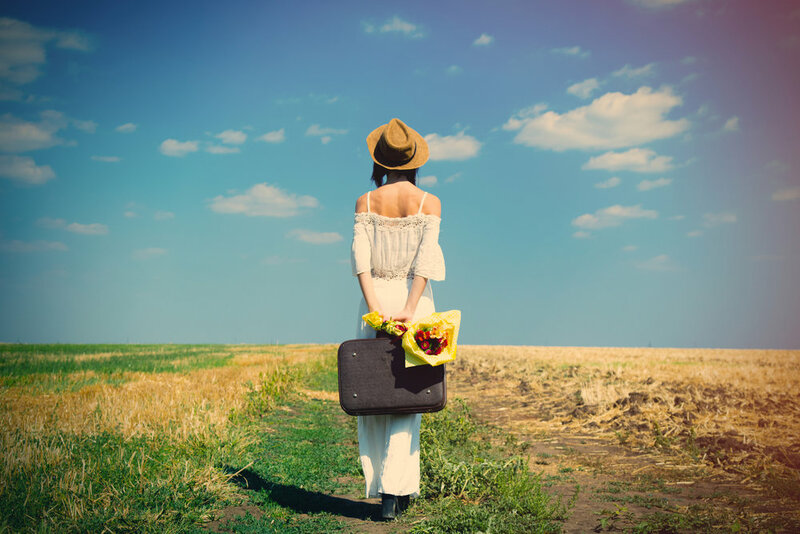 Should you pack your days full of activities or just leave it all to fate? That can be a tricky question. And the best answer of course is, IT DEPENDS! 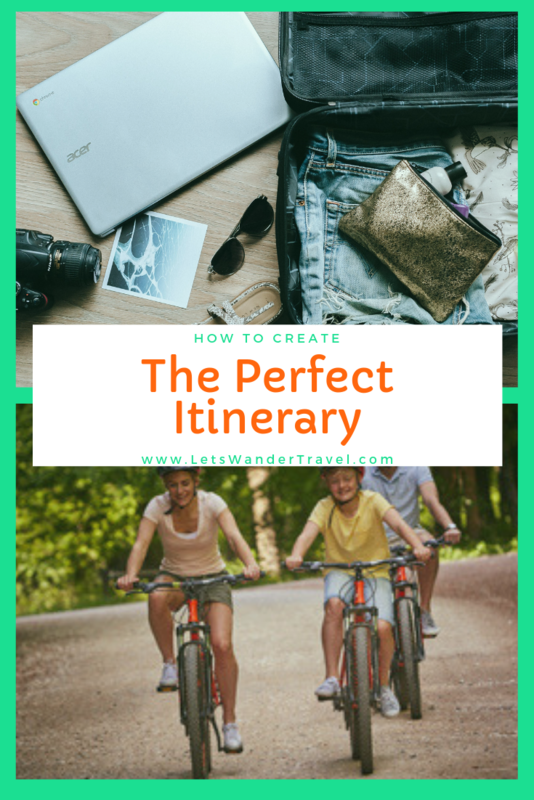 Since we do this for a living we think we have some really great tips and tricks for putting together a great itinerary. Here are our best secrets to help you get going. Use the old school way of working everything out on paper first. Get a sheet out and put the dates across the top. Please use dates instead of Monday, Tuesday, etc. because that is where you can easily make a mistake. Put in the travel time. Once you land at the airport and the time it will take you to travel to your location in a perfect world (meaning your flight is on time). Never schedule something important on the day you travel because airlines can’t be trusted to get you where you need to go on time and its not worth being stressed over. Travel days are also long and tiring in nature, so its best to plan as little as possible. We encourage our clients to get to know the block they are on and have dinner reservations somewhere that won’t fault you if you don’t make it. That really makes the best first day: travel, close-by exploration and dinner somewhere that is ultra cool or indigenous to your location. Each of the following days, you should have at least one activity scheduled. If you do more than this, you will find the constant running around and trying to keep a schedule exhausting and not really vacation like. If you have 2 activities in one day, ensure they are scheduled as far apart as possible so you don’t feel rushed. Here is an example of what we think is a perfect itinerary of my adoptive city, Annapolis. Walk and window shop Main Street, Maryland Ave and West Street. And this would be the perfect itinerary. Plenty to do, but also time to do nothing. Part of the charm in a vacation is just to sit down and do absolutely nothing except sip an Orange Crush (Annapolis famous). So how do you find all these fun things to do? The first thing you should do when going to another city is to get on Facebook and do a search under events in that city with the exact dates. Once it pops up in your location, change that location back on the left side. Another way to find fun activities is to go to Airbnb.com and type in your city and the word “experience”. This will bring what the locals are willing to do to entertain you. I have seen everything from a hat making class to a bar crawl. Check it out and schedule something that interests you. I really like this because you are dealing directly with the person who is doing the tour. So there you have 3 ways to find fun stuff to do in your city of choice and can fill in some time while you are visiting. Facebook events, Airbnb Experiences and Viator. Our best advice though is to make sure you fit in plenty of leisure and people watching time. There is something magical about finding someone playing an instrument on the street, sitting nearby and just enjoying it. How Much Does the Hotel Matter? Or something along that line? I hear it all the time and couldn’t disagree more. Since when is sleep underrated? I have stayed in 100’s of nights in hotel around the country and world. I’ve been in some really good one and really crappy ones. And I can tell you with 100% certainty that your hotel matters, A LOT! Here is a list of things that matter (at least to me). Location: When your hotel is located in the heart of the city or directly in heart of ‘old town’ or even in the castle wall like the one I stayed in in Seville, Spain it gives you direct access to all the action and that is something that can’t be done with a typical budget hotel. I like to walk right out the door and BE in the place where I can see and do without a lot of transportation modes. It saves time and adds a lot of character to your vacation. It is more expensive than staying outside of the city, but in the end, worth it. I have seen on a couple of occasions where travelers realize they are too far away from where everything is and want to change their hotel reservation. So much easier to do it right the first time. Bed Quality: I know of a couple who rented a hotel for a fun weekend trip away and ended up sleeping in the chair in the room because the bed quality was horrid. Can you imagine? Not sleeping well is enough to ruin your entire trip. I will admit, there was one time I was staying with friends and I thought their bed was going to kill me! The following day, I asked my husband to just relax in the local park and let me sleep for ½ hour. I was slowing everyone else down and felt fairly miserable. Beds are so important and some hotels do a better job than others. Extra Amenities: Who doesn’t love eating breakfast in bed? Room service is only available in hotels that typically have restaurants. This also means the hotel has a bar. This makes the hotel a destination within itself. If for some reason, you could not leave your hotel because you were sick or something else is going on, I need to be stuck at a hotel where I can eat and drink. Don’t you agree? And hey, getting toast crumbs in a bed that is not your own is best! So, we know (I KNOW from personal experience) that hotels can make or break your precious vacation time. There are too many important pieces that can get messed up. It’s important to put as much money as you can towards your accommodations because in the end, it is where you sleep and that is important!